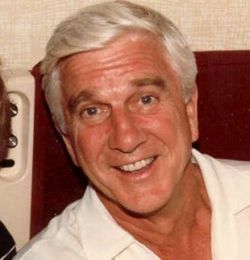 FORT LAUDERDALE (Florida), 29 NOVEMBER, 2010: Leslie Nielsen, whose longtime career as a dramatic actor took a sudden turn into comedy with spoofs like "Airplane!" and "The Naked Gun," has died at age 84, his family said Sunday, CNN reported and published on it's website. The Canadian-born Nielsen's career reached back into the early days of television, when he made frequent appearances on live drama series like "Goodyear Playhouse." He played the earnest starship captain in the 1956 science fiction classic "Forbidden Planet" and made regular appearances on a wide range of TV dramas into the 1970s. Much of that changed in 1980, when he was cast as a doctor aboard an endangered jetliner in the gag-a-minute disaster-movie parody "Airplane!" Nielsen's deadpan delivery of lines like "I am serious -- and don't call me Shirley" helped launch a second career. The film's producers went on to cast him in their short-lived television series "Police Squad!" and had him reprise that show's bumbling lead character, Lt. Frank Drebin, a decade later in three "Naked Gun" movies. Nielsen appeared in several similar but less-acclaimed spoofs following those films. P/S : Nak Ambil Aku Kau Lupa! Bila Tiba Bab Duit Cepat Pula Kau Ingat! Hahahaha! aku tak reti mat saleh punya bahasa..
xpenah kenal die sbgai pelakon. ape citer best omputih eh..